As it Happened | The Rheinfalls | A Continuous Lean. 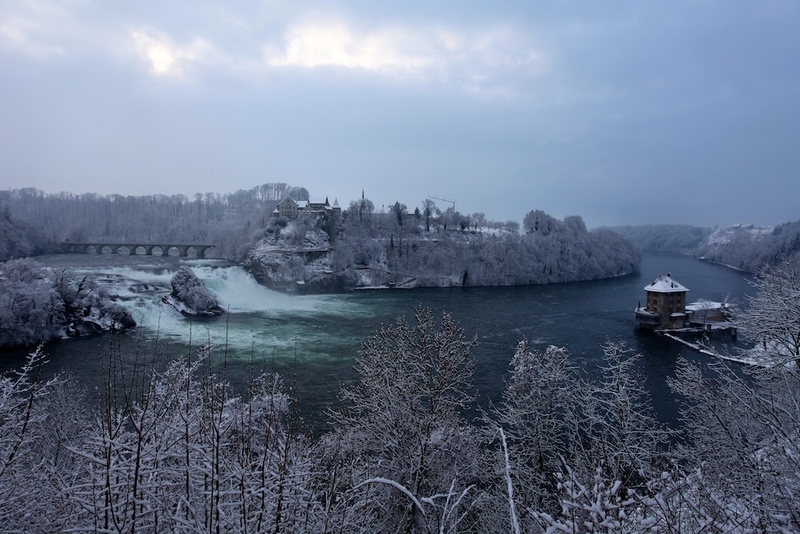 Neuhausen am Rheinfall, Switzerland | 10:29 am Thursday, January 20th, 2011. Handsome. If you get to Schaffhausen, be sure to do the IWC Museum. Beautiful photo. You really captured the essence of winter – it feels cold just looking at it. I’m curious, what’s the building that is built out on the pier. I can’t find it on the map. Wow. Pretty Amazing. I need to go back to Switzerland. I didn’t getting to sight see enough while I was there… plus that was about 12 years ago. on Flickr , I want the Canon . What lens did you use ? was this shot from the train? I remember this view riding the train from Schauffhausen to Zurich. Just curious. Brilliant shot, mate! You can see the falls from the train, but this was shot from a look out point. The building on the right is a restaurant that overlooks the falls. rheinfalls is the site of the death of sherlock holmes- later resurrected by sir AC doyle to be in hound of the baskervilles. Awesome picture. I think I’ve been here, but I don’t remember it looking like this. This is in Schaffhausen, right?